If you’re serious about taking your PR up a notch then why not book 1 to 1 sessions with me? 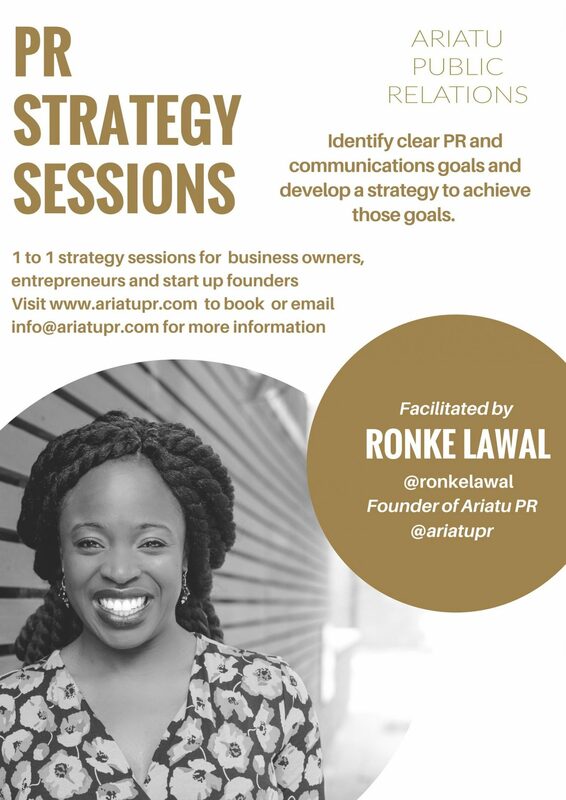 PR Strategy sessions: Ideal for startups, small business owners and entrepreneurs who want to develop a consistent strategy that they can incorporate into their business. We will clearly identify your PR and communications goals and develop a strategy to achieve these goals and achieve results. It will include a 1 or 2 hour Skype or face to face Session and written follow up summary. Media Training Sessions: Ideal for any brand ambassadors or business owners who will be undertaking media interviews for the first time. The training will cover brand awareness, tone, public speaking, personal branding and media relations. We will also undertake scenarios in which you will learn how to handle various stages of media attention. It will include a 1 or 2 hour Skype or face to face Session and written follow up summary. 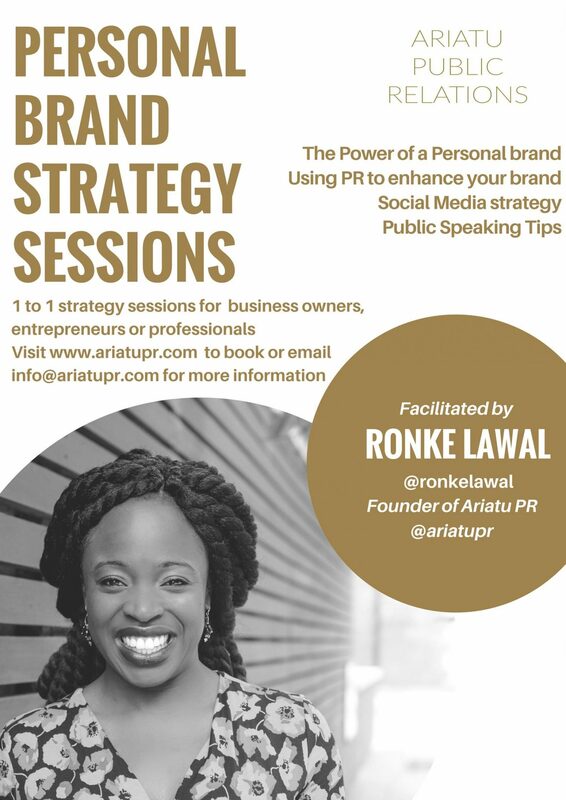 Personal Branding Sessions: Ideal for business owners, entrepreneurs or professionals who want to raise their corporate visibility and business credibility. The Power of A Personal brand – how having a strong personal brand can open up new opportunities in your business or career journey. What Is The Role of PR Communications in Africa’s Development?